Eczema is a surprisingly common inflammatory skin disorder that really can have significant effects on a person’s quality of life. While it can be attributed to genetic factors to some degree (people with inherited sensitive skin seem to be more prone), eczema may also be the body’s response to an imbalance of good bacteria on the skin and in the gut, diet, stress, lifestyle and environmental influences. It is the most common skin disease in the world affecting approximately 20% of children, and 10% of adults. Eczema is usually characterised by overly dry skin that becomes itchy, sometimes with the formation of small blisters that then become dry and scaly. Prolonged itching and scratching can eventually cause the skin to thicken and increases the risk of bacterial infection due to the skin cracking. Allergic antibodies are found in approximately 50% of people with eczema, and the disease is also linked to asthma, hay fever and food allergy. Some eczema patients show improvement with the implementation of dietary changes. This involves identifying specific food allergens for each person as triggers will differ between individuals. Some of the more common foods that may trigger an eczema flare-up include corn, gluten, soy and dairy. Eating more anti-inflammatory foods like fish, fermented foods such as tempeh, miso, probiotic yogurt, coloured fruits and vegetables, and turmeric may help reduce the flare-ups. 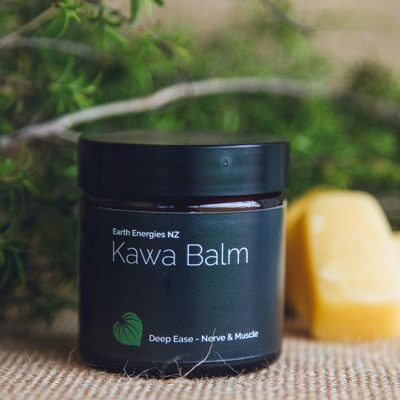 Because it’s so important to really feel comfortable in our own skin, Earth Energies have developed two unique and natural skin balms to assist with soothing and healing this troublesome condition. 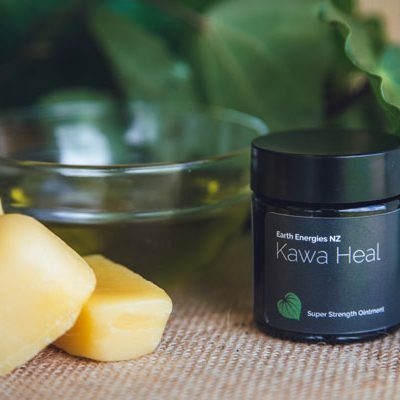 Kawa Gel – First aid in a pot (our top selling product) and Kawa Pure – Sensitive Skin both deliver a powerful blend of natural oils, beeswax, essential oils, vibrational essences and of course our organic Kawakawa extract to support healthy, calm skin. 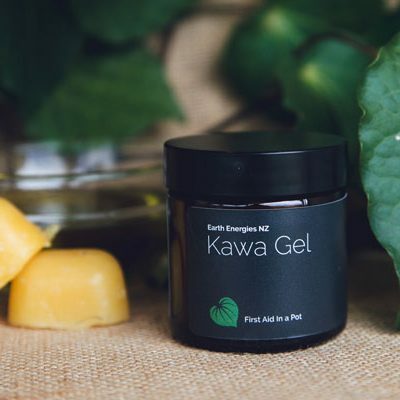 Combined in our Kawa Gel we have organic Kawakawa extract, grapeseed oil, Kawakawa vibrational essence, beeswax and the essential oils of manuka, kanuka, lavender and lemon verbena. This effective combination of active ingredients provides soothing and repairing properties for skin affected by eczema. Additionally, the essential oils of lavender and lemon verbena are calming and restorative for the nervous system – a system that is often in need of some TLC. 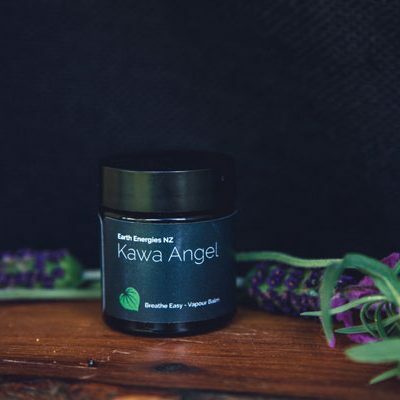 Kawa Gel can also be used for insect, sand-fly and mozzie bites, cuts and grazes, hives, chaffing and jock itch (ouch! ), and dry or wind burnt lips. 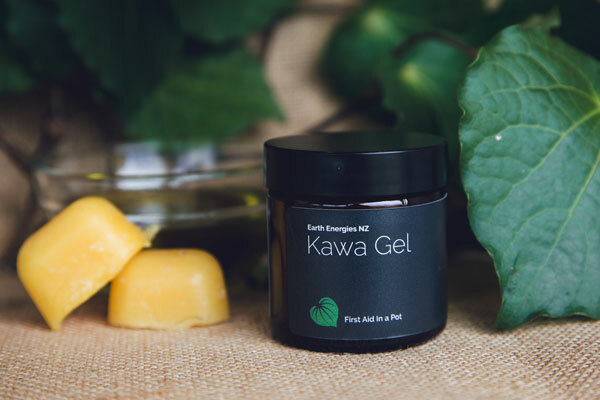 In a nutshell, our Kawa Gel is great to have on hand for all types of emergencies. 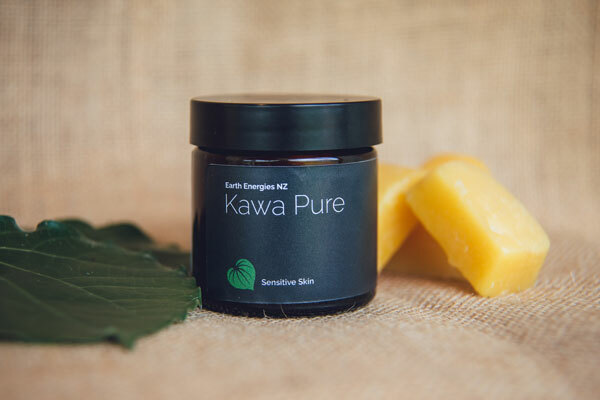 Kawa Pure is designed for delicate skins. We recognise that some individuals are sensitive to essential oils and we also want to ensure our fabulous products can be safely used on babies and small children. 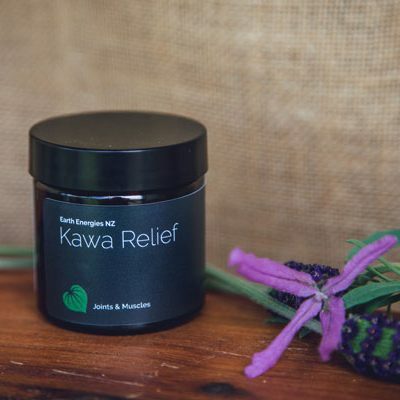 The result is a gentle ointment made from organic apricot kernel and rosehip oils, beeswax, and chamomile essential oil while still incorporating the potent benefits of our organic Kawakawa extract and Kawakawa vibrational essence. Kawa Pure is suitable to use on the same ailments as Kawa Gel, as well as for nappy rash, cradle cap, chicken pox and dribble rash. Note: When using a new product on any troubled skin, it is advisable to do a sensitivity test. Place a small amount of the product onto the inside of the wrist or elbow and wait 30 minutes to check there is no discomfort before applying to affected areas. 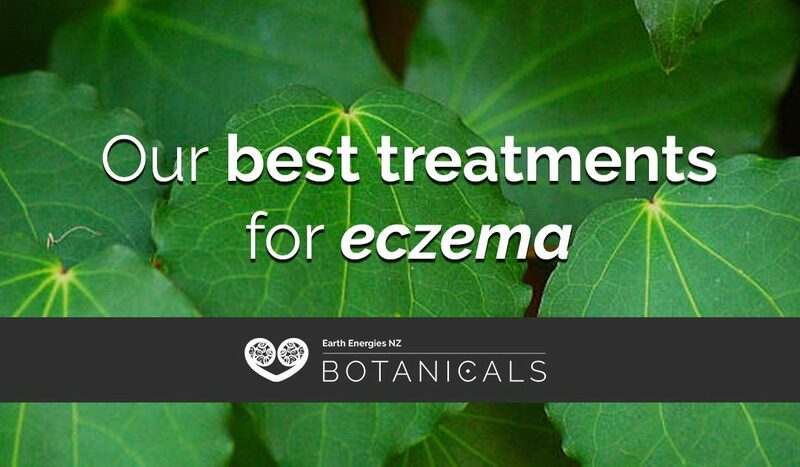 Our products are handcrafted naturally with NZ native herbs, pure natural waxes, grapeseed oil and pure essential oils. Please feel free to email us if you have any questions or require further information about our products.